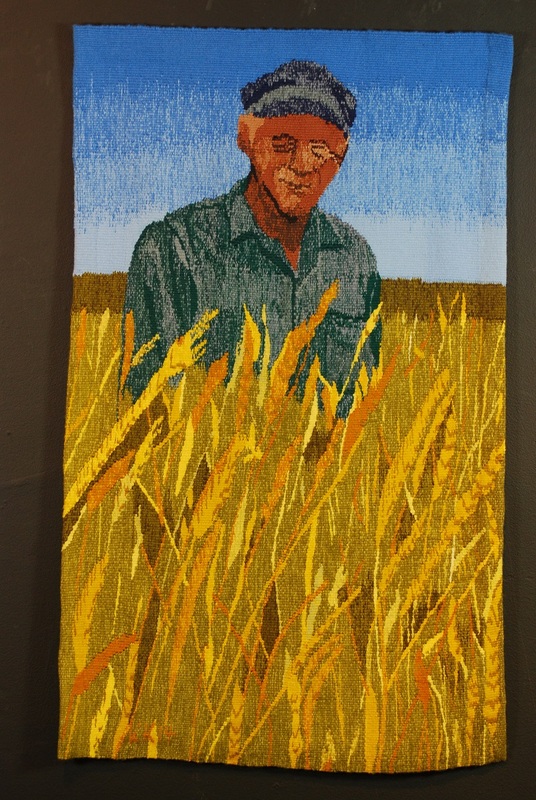 Tapestry weaving, by the nature of the technique, has become for me something of a metaphor for life. The act of weaving a tapestry requires a start at the beginning, working through and completing each section before continuing to the next. Although the design may be guided by a cartoon, problems must be dealt with and decisions made for change as the design proves inadequate. And, as with life, the outcome of individual decisions cannot be known until long after they are made. Is a colour too bright, a circle distorted? And does it matter to the overall impact of the work? It can’t be fixed now. 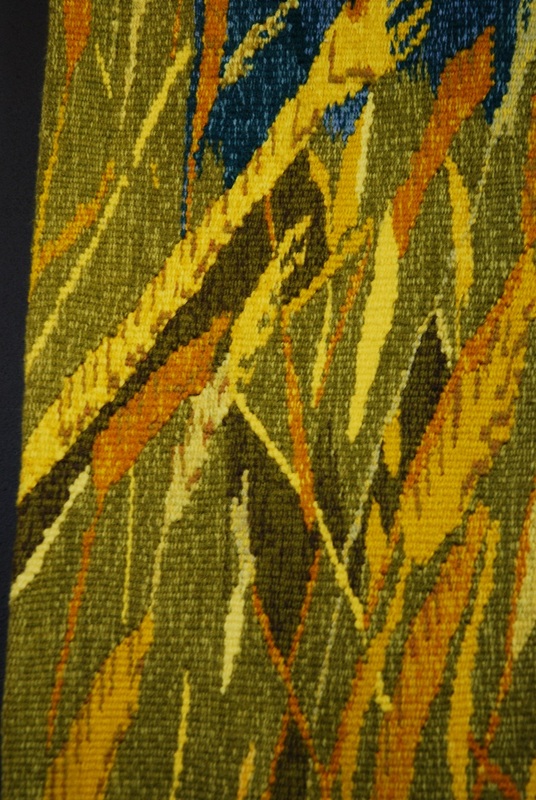 So how do tapestry techniques apply to other woven pieces? Tencel, wool, silk, cotton, misc fibres, recycled fibres. 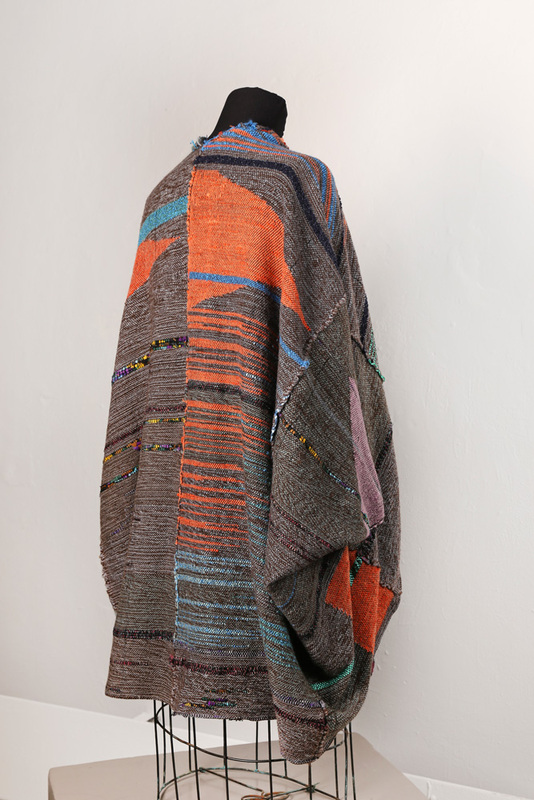 The weaver can experiment in their weaving, accepting changes in the cloth as creative expression, rather than limitations of the weaver’s technique. Experimentation in design, technique and material create unique cloth. Born and raised in Saskatchewan, Karen King now lives in Calgary. She traveled extensively throughout her professional career, living and working throughout Canada, and in Africa, where she lived for extended periods of time in several countries. These experiences, together with a career that involved research, have turned her into an observer, interested in places and landscapes, and cultural development. After a twenty year career as a professional librarian, Karen King enrolled in the Alberta College of Art and Design completing her BFA in Fibre in 2004. Since completing her BFA she learned to revel in colour and pattern, the two concepts that drive her fibre work. 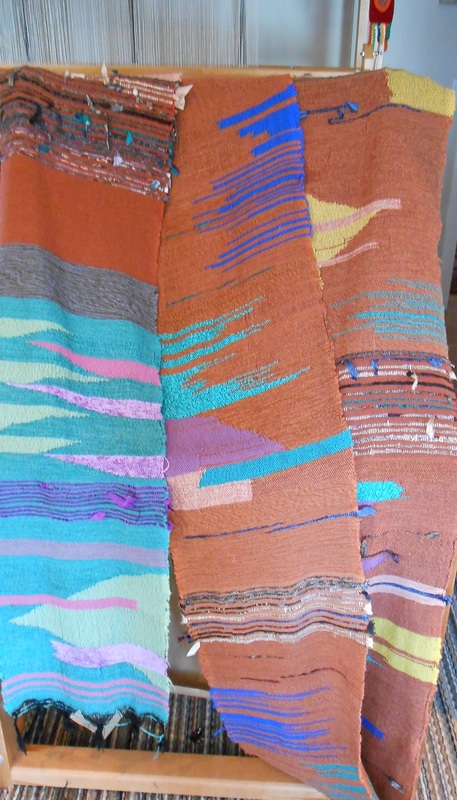 She focuses on tapestry weaving using traditional techniques, but pursuing contemporary themes. Her work has been exhibited at shows in Alberta and the United States.